The recently announced anarchist militant unit in Rojava, Tekoşîna Anarşîst, has announced that they have been active in the frontline battles against ISIS. There have been ongoing clashes in Deir Zor. SDF and allied revolutionary forces are making a final push to end Daesh’s presence on the eastern side of the Euphrates River. While it is a small strip of land Daesh is deeply rooted there, with a complex network of underground tunnels. Anarchist fighers with other revolutionary forces have been on the frontlines of most major battles in Rojava. “We have been active in the final push against ISIS. TA has been attaching to a local YPG unit and doing rotations with them to the front. Tomorrow another group of our hevals will again go to DeirZor,” Tekoşîna Anarşîst announced. 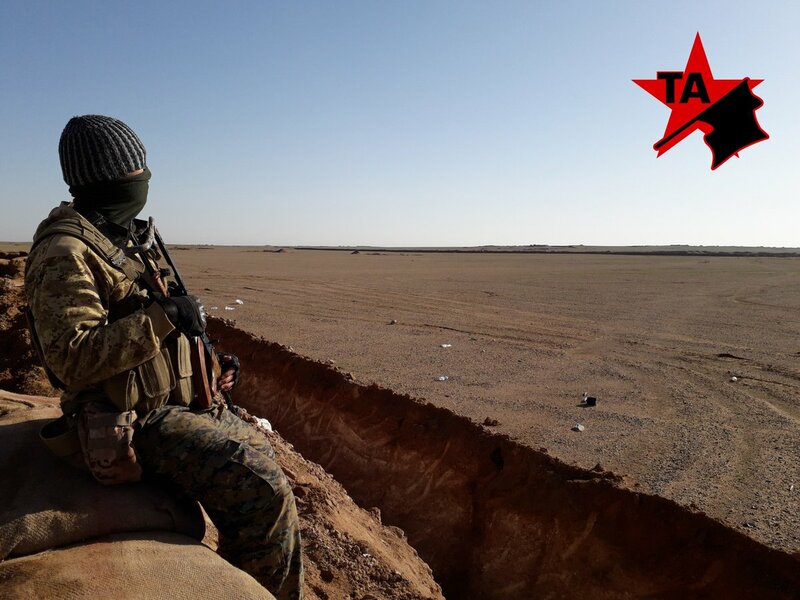 The anarchst unit and other revolutionary forces are preparing for an offensive by the Turkish state, while trying to eliminate Daesh from the region.